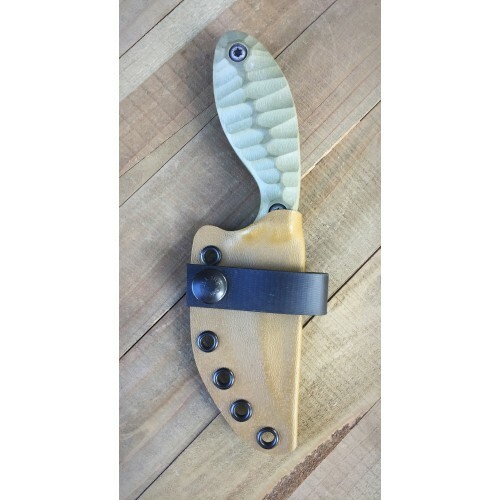 Jambi with OD green g-10 handles. 5/32 AEB-L stainless steel with a black oxide finish over etch and tumble. 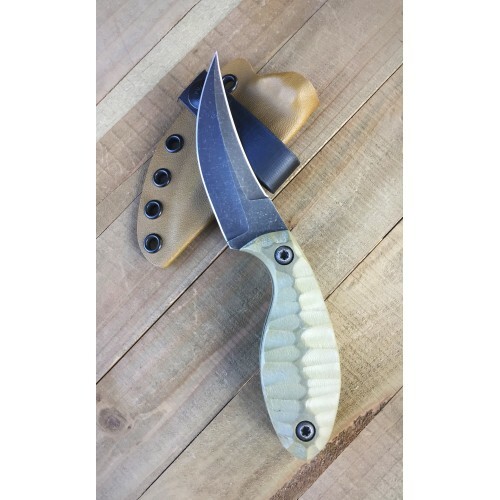 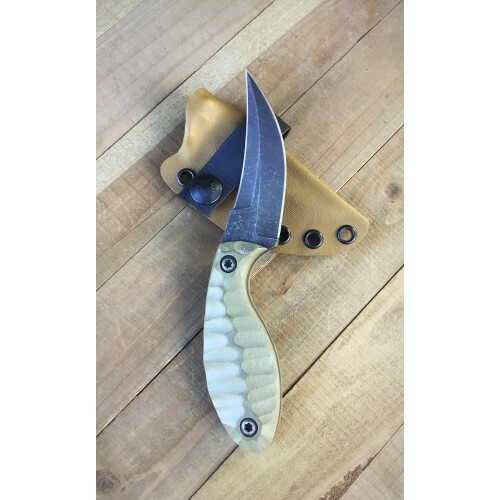 Coyote Bolotron sheath for horizontal carry included.